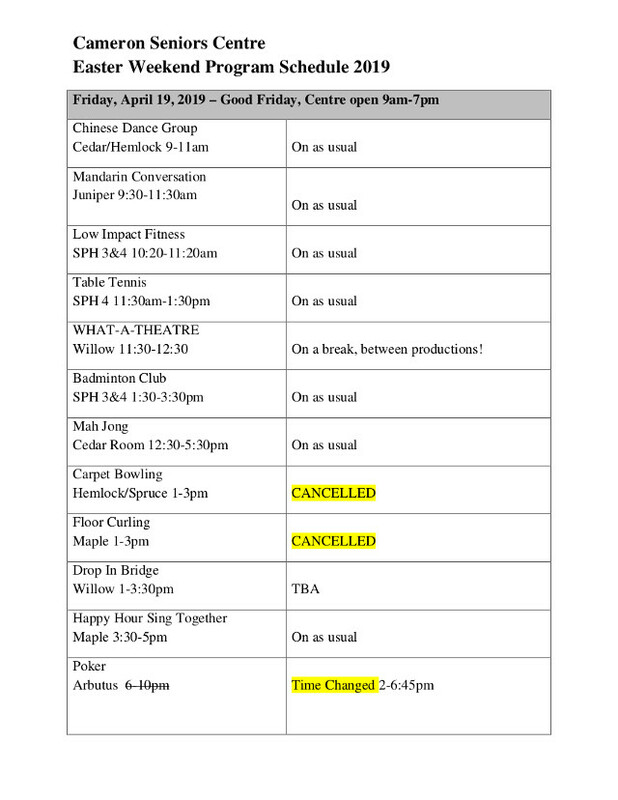 The Easter weekend program schedule of activities for Cameron Seniors can be viewed below (click on image to view a bigger poster). Tickets available for purchase at the Seniors Lounge. 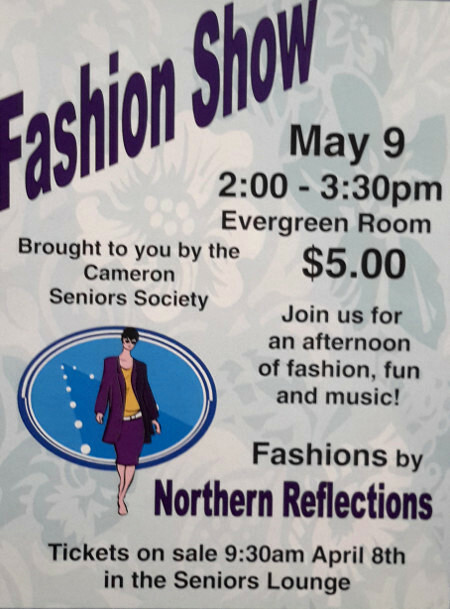 Join us for an afternoon of fashion, fun and music. Light refreshments included. Fashions are by Northern Reflections. 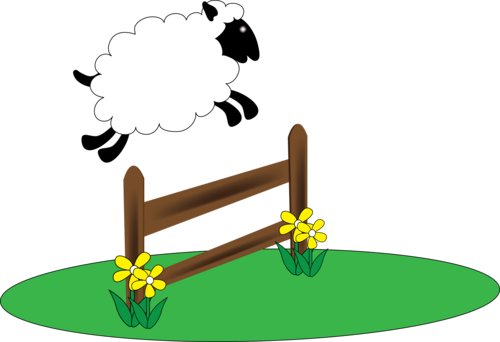 Do you have difficulty getting to sleep, staying asleep or getting back to sleep? Come and learn some tips and strategies on things to do and not do before bedtime. Also learn how to develop a successful sleep routine. Wendy's tips are sure to help improve your sleep and increase your overall zzzzzzzz! FREE admission, registration is required. Please sign up at the Seniors Lounge. 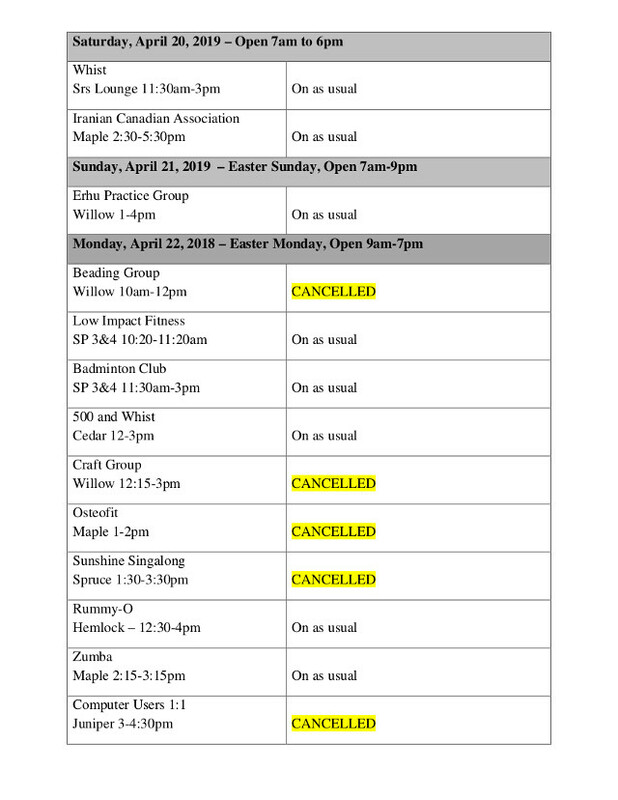 NEW DATES FOR SPRING 2019! Students from Burnaby Mountain Secondary will help you learn to use your tablet or smartphone. Learn to make the most of your hand-held devices in this free workshop. PLEASE BRING YOUR DEVICE WITH YOU TO THE CLASS. Come learn how chair yoga can benefit your body and mind in a fun, friendly and informative way! 3 Sunday morning out trips, to be announced. 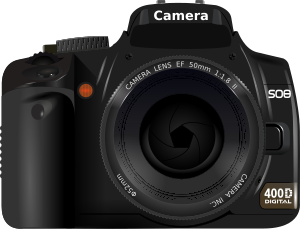 Learn how to make the most of your camera with classroom sessions about composition, depth of field, and exposure, as well as how to photograph landscapes, wildlife, and people in different lighting situations. We will have four slide show sessions, and three local, Sunday fieldtrips to assist and critique your protocol and composition. Field trip locations and meeting time options will be discussed at the first class. Participants are encourgaed to carpool to offsite classes. Are y ou making the transition to living in a townhouse or condo? This informative workshop includes topics such as the challenges and benefits of strata living, how to plan for the expenses of strata living and the requirement of depreciation/sustainability reports. Facilitator Terry Hyska is a licensed realtor, seniors real estate specialist and experienced strata council member. 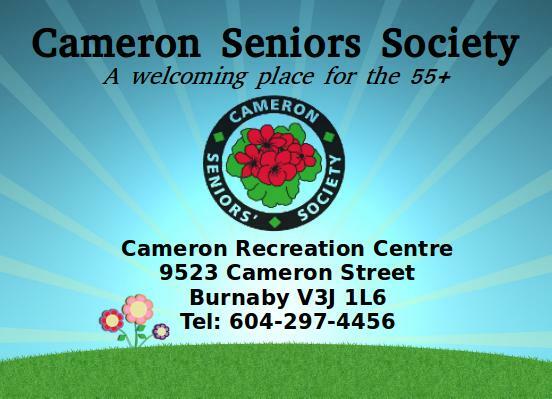 For more information about the Society please click here and also view the Welcome to Cameron Seniors booklet!